Staging a house for sale can be a time-consuming process. According to some experts, it may cost you anywhere from $200 – $2,000, depending on how much work is needed. But is it really worth the time and expense? Does it really make a difference? In a word … yes! Here are 13 reasons why you should stage your house before you try to sell it. I stage my clients homes and that is a bonus to hire me as your real estate broker. Attached are some before and after pictures and a staged home that went well over asking price. When selling your home, the goal is to sell it fast and for the highest possible price. You can increase your chances for success if you stage your house before listing it. 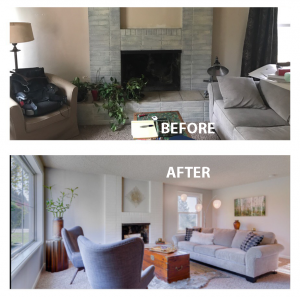 That’s the whole point of home staging in the first place — to present your home in the best possible light. If you do this, buyers will be more likely to make an offer. As we continue through this article, you will see how a well-staged home can increase the likelihood of a sale. When buyers are walking through your home for the first time, they are making observations on various levels. Obviously, they want to feel comfortable inside the home. They also want to make sure that it meets all their needs from a structural standpoint (size, layout, number or rooms, etc.). But they’ll also be looking for clues that indicate the true condition of the home. If you stage your house effectively, it will give buyers the impression of a well-maintained home. 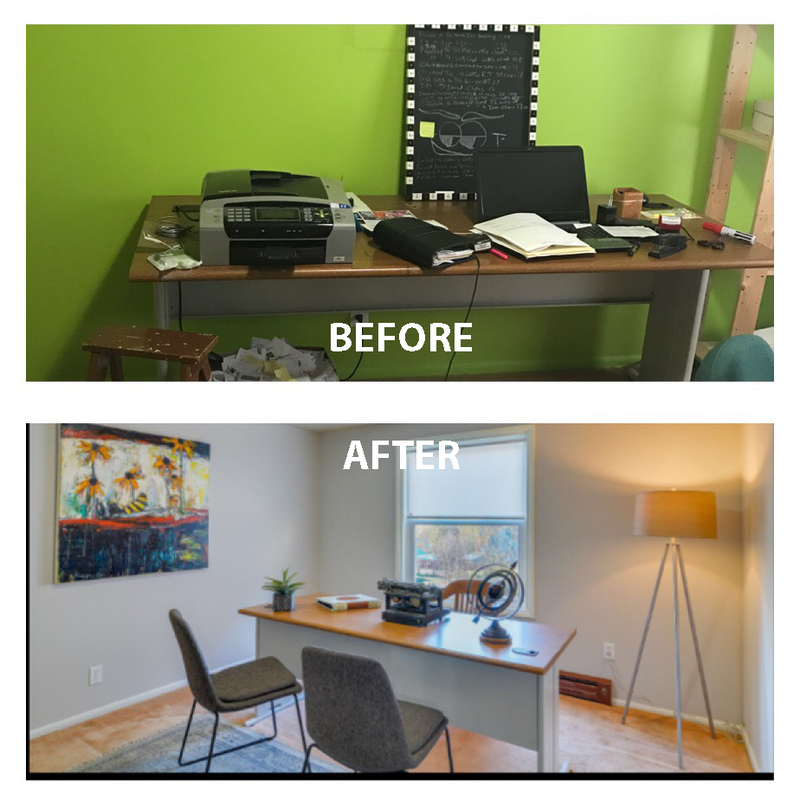 After all, basic repairs are the first step in any home-staging plan. You start by fixing what’s broken. This is the bare minimum. After that, you move on to the cosmetic touches like painting and decorating. The result is that the house seems like it’s in tip-top shape. This puts buyers’ minds at ease, which is exactly what you want. You must pack up all your belongings eventually, before you can move. So why not start now? To stage your house, you must remove all clutter from the premises. You also need to pack away your personal belongings, so buyers can imagine themselves living in the house. By staging the home, you’re making your job easier when it comes time to move. You won’t have as much stuff to box up at the last minute. Home buyers today are savvy about property values. We all know that home prices have dropped in the wake of the housing crisis. So, you can be sure that potential buyers will scrutinize your asking price like never before. If you stage your house before you try to sell it, you’ll have an easier time justifying the price. Granted, you still need to determine the fair market value for your home. Home buyers and their real estate agents will use recent sales data to justify your asking price. But they’ll also be influenced by their emotions. If they walk through the house and see many things that need to be repaired or replaced, they may balk at your asking price — even if the data is in your favor. If the house appears move-in ready, they will be more likely to accept the price you have set. The art of home staging has a lot to do with space. You want to remove clutter and arrange furniture in a way that maximizes usable space within the house. This gives the impression that the home is larger than it is. Have you ever walked through a home with minimal furniture and been amazed at how much space it had? But when you fill up that same house with over-sized furniture, knickknacks and other forms of clutter, it suddenly feels cramped. As you stage your house, you should pay close attention to the “flow” of each room. People should never bump into a dresser when walking into the bedroom. They should never have to sidestep around an over-sized dining room table. Doors should be able to swing open completely, without hitting furniture or other obstacles. It’s hard to live in such a home, even if you’re used to it. When you’re done staging, you may be surprised at how large your house suddenly seems. This is a common reaction among homeowners. And it’s a positive reaction among potential buyers. You never want buyers to feel like the home is cramped or crowded. Buyers should never have to guess the purpose of a room. Most of us have a certain room in the house that serves multiple purposes. You might think a room’s purpose is obvious, even if you’re not currently using the room in that manner. But some people have limited vision when it comes to the subject. They may truly be confused about the purpose of a room if it’s not staged properly. It’s almost like taking rooms off the list entirely. Did that house have two family living spaces? Or did it have one family room plus an ambiguous storage area with an exercise bike in the corner? You don’t want buyers asking these kinds of questions. As a seller, your job is to help people see themselves living in your home. You do this by “de-personalizing” the house, and decorating in a neutral way that appeals to the masses. You want buyers to see the house as a good fit for their family. You don’t want them to see your family living in it. If they see pictures of you everywhere, they’ll have a harder time making a personal connection to the home. The same goes for taste-specific decorating choices. Unusual paint colors and exotic knickknacks are fine when you are living in the home. But when you’re trying to sell it, you need to neutralize the decor. When you stage your house, you’re essentially removing yourself so that others may insert themselves. This in turn supports item number #1 on this list — it increases the likelihood of a sale. As a seller, you have a lot of competition. You can bet that would-be home buyers have seen other houses before visiting yours, and that they’ll see more when they leave. What makes your house stand out from the rest? When you get down to it, there are only two ways to distinguish your home. You can price it below the competition or make it seem like a nicer home. In this case, the Seattle Market is so HOT, you will get multiple bids on your home. 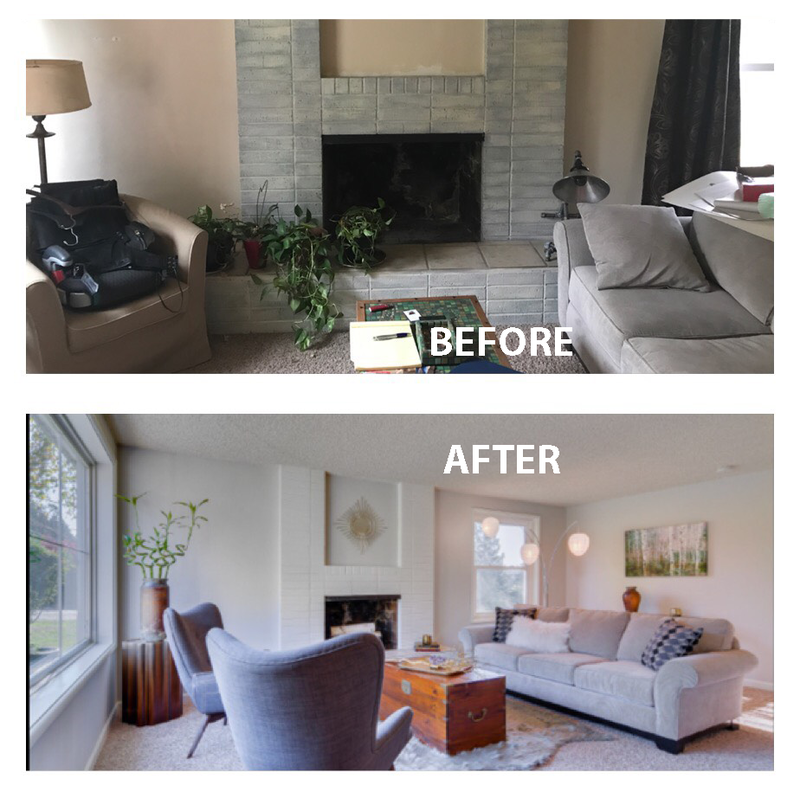 Staging can make all the difference in the world, even if your home is priced the same as comparable properties that are for sale. You are giving the appearance of a better value. This is the key to selling anything, whether it’s a housework toaster. 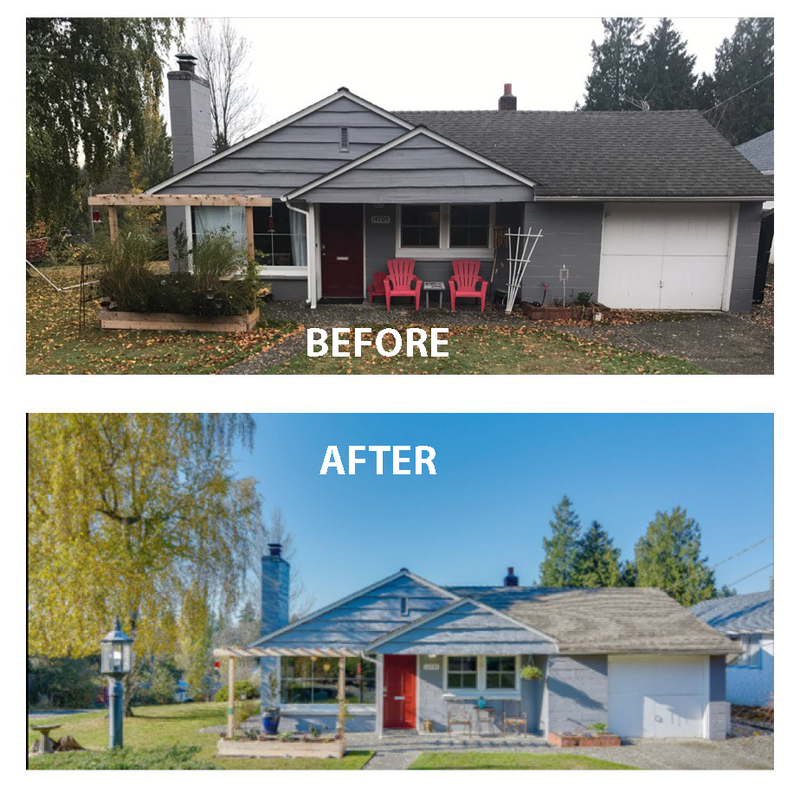 You’ve heard the phrase “curb appeal” before. This is the positive first impression people get when they pull up to your home. But you can’t achieve curb appeal unless you stage the house effectively. Staging doesn’t just occur on the inside. It happens on the outside as well. You want buyers to be impressed with the property before they even step foot inside. This is a critical moment that will determine their attitude for the rest of the visit. It’s hard to overcome a bad first impression, even if the inside of the house is in prime condition. If you stage the house well, you’ll improve the exterior as well as the interior. This puts buyers in a positive frame of mind before they even walk through the front door. This is one of the things buyers will do when they walk through your home. They’ll be looking for items that need to be repaired or replaced, adding it up with their mental calculators. This is another reason to stage your house before you try to sell it. 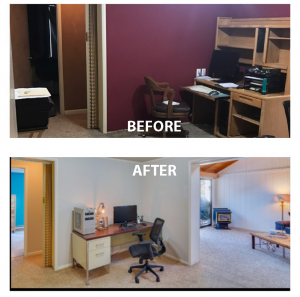 One of the goals of staging is to make the home appear move-in ready. This means that buyers can bring in their furniture and have a housewarming party the very next day. This is an ideal scenario for buyers. And that’s what home staging is all about — you’re trying to create an ideal situation for the buyer. This increases the likelihood of a quick sale. And isn’t that what you want more than anything else? This might sound like a one-sided benefit. Why do you care if the buyer can have a housewarming party shortly after moving in? You care because it relates directly to your primary mission as a seller. It helps you sell faster. Don’t underestimate the power of the entertainment factor. New homeowners love to have family and friends over to visit their new house. It’s one of the first things they will do after moving in. If the house is rough around the edges, the buyers might not be comfortable having that housewarming party right away. A well-staged home, on the other hand, is “party ready” right from the get-go. This may seem like a trivial notion in the grand scheme of things. It’s not. Every buyer wants an easy transition. Moving is stressful enough. The last thing they want is to inherit a long list of repairs and upgrades. Stage your house well to make life easier for your buyers. You want the buyer’s agent to rave about your house. You want him or her to say things like, “This is much nicer than the other homes we’ve looked at.” The agent’s excitement will rub off on the buyers. This reinforces some of the other points we have discussed in my blog. And it all comes back to item #1 at the top of this list. It increases the likelihood of a sale with a an escalation of a potential higher offer. Other agents will hear about your home, as well. Word gets around quickly in real estate circles. The buyer’s agent will want to bring his or her other clients to your house as well. They’ll probably mention it to other agents working in their firm. This will increase the number of buyers who come out to see your home. In order to enjoy this level of “buzz,” you need to stage your house before you try to sell it. Giving buyers a good first impression is your primary goal. Giving agents a good impression also serves your cause.